It will be finals all day Saturday next as both the girls U12 teams contest the league and shield finals in Feenagh while the U14 boys A team will play their shield final as well. It all adds up to a Super Saturday next weekend as the short season draws to a close. 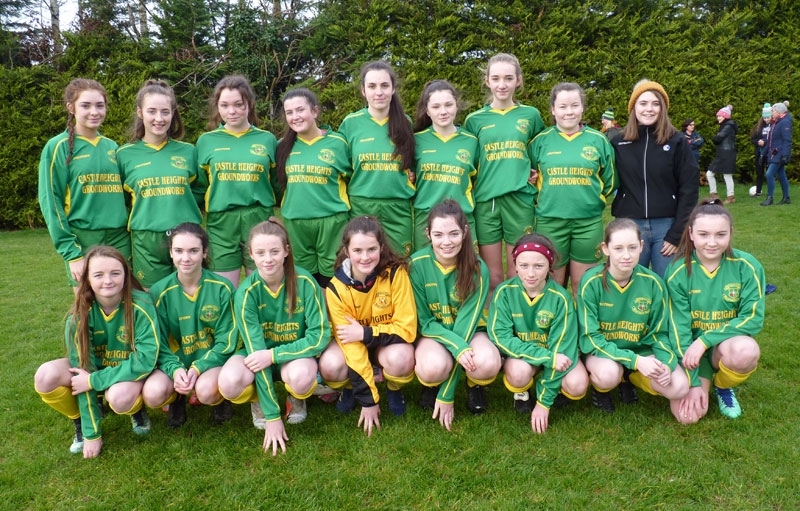 More disappointment for Ballingarrys girls at the hands of Abbeyfeale as this friendly rivalry saw out another chapter at Glantine on Saturday. After a bright opening for Ballingarry the eventual winner took control hitting both the post and crossbar before they eventually took the lead after fifteen minutes. Sarah Hayes had Ballingarrys only real chance in the first half but she shot straight at the keeper. The second half saw little change in the game with Abbey doing most of the pressing. Ballingarrys only chance falling to Amy O’Keeffe whose effort was blocked. Then when it seemed as the game was won up popped Nicole McNamara to send a free all the way to the net with the last kick of the game. Extra time produced just the one goal with Abbeyfeale securing the title half way through the second period of extra time. Ballingarry secured their place in the shield final with this home win against Breska. Kilcolman Rovers provide the opposition in the final. The U12 girls B team joined the A team club mates in an end of season final with this deserved victory against Shannonside.